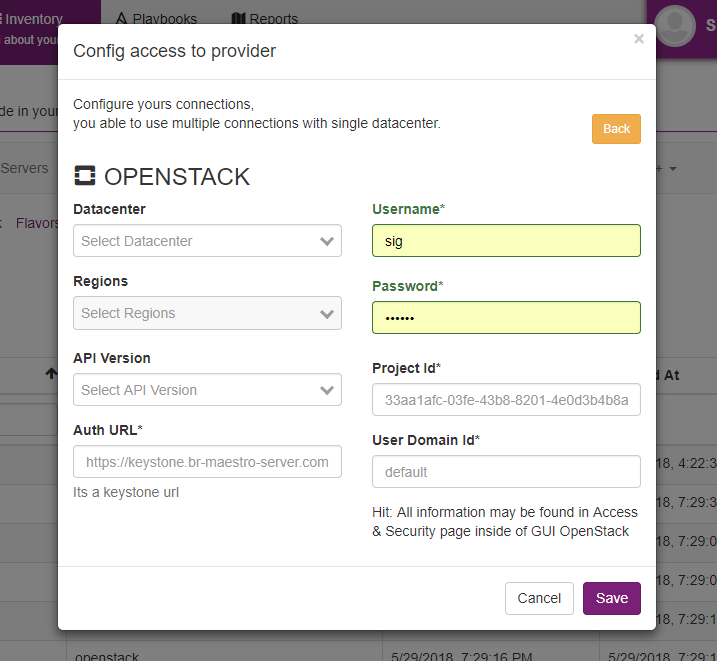 To register one openstack account, use project name, url api, user, and password. If you like, choose how the resource will be synchronized with an active and inactive button. PS: There is scheduler job, its automatize sync, this schedule will be activated by default, and each resource have our own time, in the example, server-list will be synchronized for every 5 minutes, networks stuffs normally happen for every 2 weeks. You can the time using in each resource, more details see schedulers.